Stonehenge: government says if there’s no new Visitors Centre there’ll be no road closure! Why is achieving the long expressed benefits of improving the setting of Stonehenge being made conditional upon building a new visitors’ centre? Is improving the setting of Stonehenge at the top of the government’s agenda, as they have so often said it is —- or not? 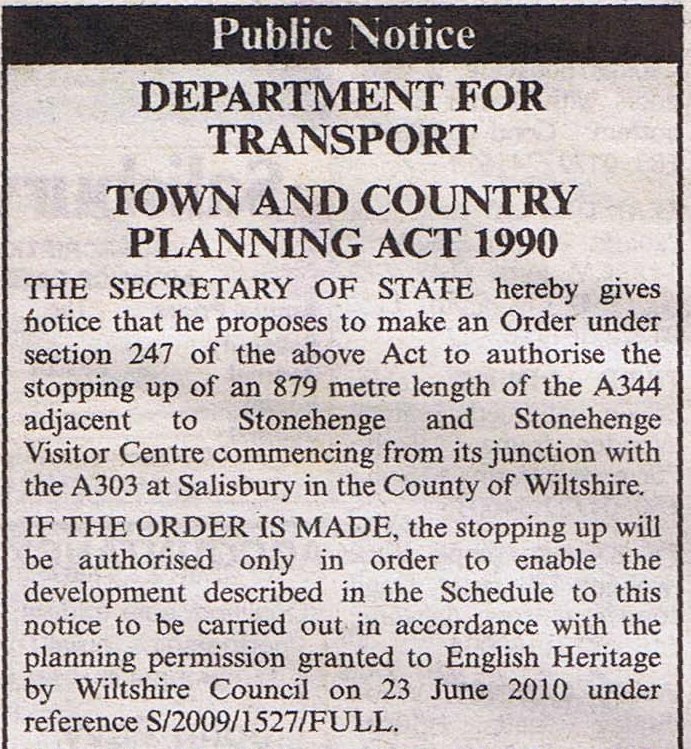 Isn’t the closure of the A344 the most called for, most overdue and most fundamental step towards rectifying the “national disgrace” that is Stonehenge? Why tie the road closure issue so tightly to the fate of a Visitors Centre that’s under threat through lack of funding? They can be perfectly well regarded as two entirely distinct issues can they not? Haven’t we been here before? Didn’t a previous administration tie the changes of the A303 to a VC and the failure of one saw the other fail too? ‘Is it or is it not’.. was that a rethoric question?